Nationality: American. Born: Sunrise, Minnesota, 26 December 1914. Education: Attended Princeton High School, Illinois, graduated 1932; Lake Forest College, Illinois, B.A., 1936. Family: Married 1) Jean Hazlewood, 1942 (died 1977), daughter: Ann; 2) Susan Blanchard, 1999. Career: 1936–38—drama instructor, Lake Forest College; 1938—began period of radio acting; entertained servicemen under the auspices of the American Theatre Wing during World War II; 1943—Broadway debut in Kiss and Tell , followed by other Broadway plays; 1947—film debut in Kiss of Death ; contract with 20th Century-Fox; formed production company Heath Productions: produced the film Time Limit , 1957; 1972–73—starred in TV series Madigan ; and in the mini-series Mr. Horn , 1979. Agent: ICM, 8899 Beverly Boulevard, Los Angeles, CA 90048, U.S.A.
"Creating without Compromise," in Films and Filming (London), October 1961. Interview with Christian Viviani and Michael Henry, in Positif (Paris), July-August 1995. Hunter, Allen, Richard Widmark: The Man and His Movies , New York, 1985. Holston, Kim, Richard Widmark: A Bio-Bibliography , Westport, Connecticut, 1990. Marill, A.H., "Films on TV: Richard Widmark," in Films in Review (New York), March 1979. Buckley, Michael, in Films in Review (New York), April, May, and June/July 1986; see also issue for May 1990. "Richard Widmark," in Stars (Mariembourg), March 1992. Richard Widmark never became a major star, but through the middle part of the twentieth century regularly turned in convincing, workmanlike performances. A genuine product of the American midwest, Widmark strove for a career in show business. He worked at the local Princeton, Illinois, movie house as a high school student so he could see all the films free. At Lake Forest College, outside Chicago, he majored in drama, and after graduation made his way to New York to join a radio drama company. Throughout the late 1930s and the early 1940s Widmark was a fixture on radio, acting in hundreds of programs including Big Sister , Stella Dallas , Front Page Farrell , and March of Time . He also regularly took parts on Broadway, but always made no secret of his desire to go to Hollywood. His chance came at an age (33) when most movie actors had long built up a list of credits. Even so Widmark was able to make a memorable impression in a small part in his very first film. His portrayal as a giggling psychopath in Henry Hathaway's Kiss of Death earned him his only nomination for an Academy Award. 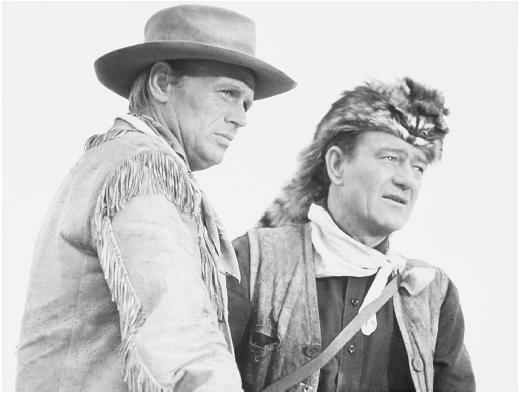 Widmark then signed a standard seven-year contract with Twentieth Century-Fox, and went on to do his best film work during the 1950s and 1960s. He should best be remembered as a sentimental hoodlum in Sam Fuller's Pickup on South Street , and as the tender and understanding hero in John Ford's Two Rode Together and Cheyenne Autumn . By the 1970s Widmark had turned his considerable talents to television. For a two-part television movie, Vanished , he was nominated for an Emmy, but lost. His lone prime-time series, Madigan , based on his film role, did better, lasting two seasons. He ended his career with frequent appearances in television movies and mini-series.